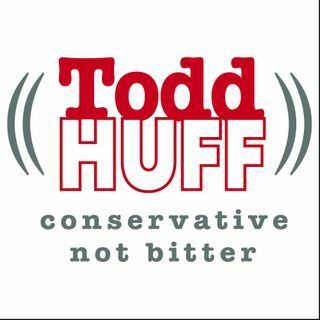 Todd Huff Radio is conservative, not bitter. But be advised: contents may cause you to lean to the right. Listen to J-Dot's 3-in-3 political parodies as heart on The Todd Huff Radio Show. Audio of speeches Todd shares with live audiences. This is a members-only station where Todd broadcasts his daily bonus content for members of the Conservative, Not Bitter Party. Sound Off is a week-long interview series with America's military veterans. These are 60-second daily vignettes created by Todd Huff, host of The Todd Huff Radio Show.